Note: the MBHP_AIN module is only used by MIOS8 based applications which are running on the MBHP_CORE module. For MIOS32 based applications, e.g. running on a MBHP_CORE_LPC17 module, please use MBHP_AINSER64! The AIN module comes with 4051 multiplexers for analog signals, each multiplexer provides 8 inputs. Currently only the layout for an ainx4 module with 4 multiplexers (=32 inputs) can be found here, I will add some more variations in the future. A full featured MIDIbox64 with 64 pots or faders requires two of these modules. 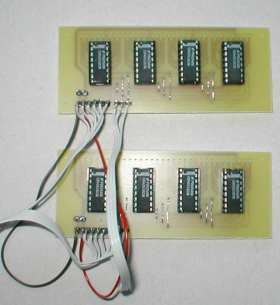 J1, J2, J3, J4 8 Analog inputs of the 4051 multiplexers. Have to be connected with the sliders of pots/faders, or can also be used as CV input (0V/5V), see also the MIDIbox Extensions Page. All unused analog inputs have to be clamped to ground (Vss), otherwise your MIDIbox will send out a lot of random MIDI events! J5 6 Interface to J5 of the core module. J5:Vs and J5:Vd are the power pins, J5:A0..J5:A3 are the analog outputs of the multiplexers. If you leave out a 4051, clamp the appr. analog input (J5:A0, ... J5:A3) to ground in order to avoid random MIDI events. 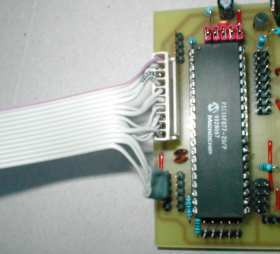 The other two pins of J6 of the core module (J6:Vd and J6:Vs) don't have to be connected with the AINX4 module. J7 2 Power supply pins for the pots/faders. Here a list of the used components. A complete orderlist for Reichelt can be found here, Mouser partlist for the US: see SmashTV's Website, if you have a orderlist for a distributor on your country, feel free publish it on this page! C1-C4 100nF The additional bypass caps have to be placed on the bottom side of the PCB, as close to the +5V power input of the 4051 as possible. J* * All connectors are optional, the cables can also be soldered directly into the board. Otherwise I suggest SIL headers (header sockets), known from PC motherboards. They are cheap and usefull. DIL SOCKETS Don't forget to buy sockets for the 4051 multiplexers. 4 * 16 pin DIL sockets are required. Mount the sockets and connectors. Note: analog experts suggest not to use sockets here, search in the web for the reasons. For beginners I strongly suggest the use of sockets! 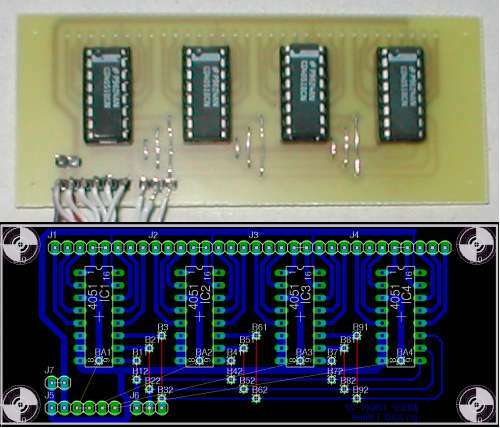 Add also the four additional Bypass Caps between Vdd and ground of each chip on the bottom side of the PCB as close to the +5V power input of the 4051 as possible. They improve the power integrity. Since there isn't a ground rail near by the +5V input, I've used a so called "shrink hose" (german: Schrumpfschlauch) to isolate the cap leg which goes to ground. Now add the connection cable to the core module. 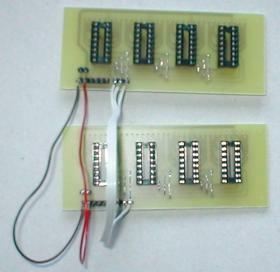 See also the MIDIbox64 Module Diagramm and mbhp_ainx4_64pots.pdf for further details. Connection to the core module.